The European Training Network coordinated by Claire Wyart will start on October 1st, 2019. We will be recruiting in the spring 2020 15 international doctorate students trained in physics, maths, biology and chemistry to follow an interdisciplinary program bridging scales and disciplines to investigate circuits underlying behavior in small transparent fish. Please advertise to bright master students around you ! Claire Wyart graduated from the Ecole Normale Supérieure Ulm in 2000. Under the supervision of Laurent Bourdieu and Didier Chatenay, she obtained her PhD in biophysics and neuroscience from the University of Strasbourg and moved to University of California in Berkeley for her postdoc. 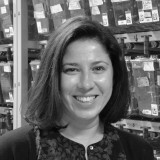 In the lab of Udi Isacoff, she developed optical techniques to control activity of neurons remotely in vivo (optogenetics). The team of Claire Wyart now combines genetics, biophysics, physiology & behavior to understand how sensory inputs are integrated in the spinal cord during development and active locomotion. Her lab discovered that neurons contacting the cerebrospinal fluid (CSF) in the spinal cord are mechanoreceptors detecting curvature of the spinal cord and CSF flow, which modulate the activity of spinal neurons controlling locomotion and posture. We use the transparent zebrafish larva to implement optical methods for manipulating and monitoring neuronal activity in motion. Our work aims to unravel the mechanisms by which interoceptive sensory inputs are integrated throughout life to form the spinal cord, and insure homeostasis in the mature stages. BIOGRAPHY. 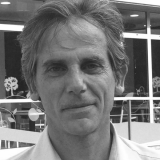 Pierre-Luc is interested in the fundamental cellular mechanisms underlying animal development. He received a PhD in Life Science in 2004 from the Ecole Normale Supérieure de Lyon, studying some aspects of cell movement in the gastrulation of the zebrafish embryo. He then moved to the NIMR, in London, to join Dr. Jean-Paul Vincent group. Using the drosophila embryonic epithelium as a model, he decipher the relationship between cellular architecture and polarity with cell survival signaling pathways. In 2009, he moved to the Institut Curie, in Paris, to join Yohanns Bellaïche group. There, he participated to a trans-disciplinary effort with physicists to better describe and understand tissue morphogenesis. By applying those tools in the fly wing during metamorphosis, he uncovered how mechanical tension is released to allow new cellular junction creation, stabilisation and elongation. He was hired as an associate professor in Claire Wyart team, at the ICM, Paris, in 2013. While teaching at the University Pierre et Marie Curie, he is exploring the cross-talks between the CerebroSpinal Fluid and the spinal chord during development. PROJECTS. CerebroSpinal Fluid (CSF) is essential for the development and the normal physiology of the Central Nervous System, and is perturbed in many neurological diseases. However, the precise cellular mechanisms of CSF action are only partly understood. 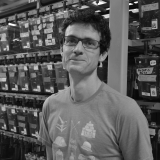 In the lab, Pierre-Luc is involved in two projects that explore this interaction between CSF and the neural tissues. First, he has generated mutant zebrafish strains that lack a conserved component of the CSF, namely the Reissner Fiber. Preliminary results indicate that this extracellular thread running down the spinal chord is essential for proper development, probably by regulating CSF mechanical and chemical properties. Second, he is interested in understanding how CSF-contacting neurons (CSF-cNs) structure is adapted for the sensory functions. To that end, the lab has devised imaging technics, as well as transcriptomics and genetic abaltion approaches to understand how the morphogenesis of the CSF-cNs is controlled during development. This will allow to better correlate the cellular structure of CSF-cNS with their sensory functions. 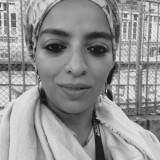 Yasmine Cantaut Belarif obtained her PhD from the Biological Department of the Ecole Normale Supérieure and University Pierre et Marie Curie (UPMC) in 2015 where she worked on interactions between immune cells and nervous system at the nanoscopic scale on proteins from inhibitory synapses in the dorsal spinal cord. Yasmine studies the roles of scospondin and the Reissner fiber in axon pathfinding and the development of the spinal cord in zebrafish. Martin received his PhD in Neurosciences in 2013 from the University of Buenos Aires in Argentina. In the Lab of Dr. M. Eugenia Pedreira he studied the role of the GABAergic system in the different phases of memory formation, focusing in the extinction memory in the crab. His PhD work combined pharmacology and immunohistochemistry. Then he moved to learn electrophysiology and calcium imaging under the tutelage of Dr. Lidia Szczupak to study the role of a recurrent inhibitory circuit in sensorymotor networks in the leech nervous system. Martin's project will tackles a major unsolved question in motor systems: how are the descending commands from the brain implemented in the spinal cord to drive locomotion across a wide diversity of speeds? His work will be done in collaboration with Dr. Isaac Bianco from UCL in order to genetically target zebrafish reticulospinal neurons. BIOGRAPHY. Laura is a PhD student at the University Pierre et Marie Curie (UPMC) where she also works as a TA as part of her PhD contract. 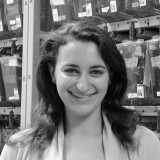 She graduated from Ecole Normale Supérieure / UPMC with a background of molecular biology, engineering and neuroscience. Before joining Claire's lab, she previously worked as an intern in Adam Kepecs' lab where she studied decision-making in rat models for depression and ADHD. PROJECTS. Laura studies the molecular mechanisms underlying the morphogenesis of CSF-cNs. She uses a combination of genetic and imaging techniques to characterize the formation of the CSF-cN apical extension, thought to be the cell's sensory apparatus. She has also been collaborating with Andy in the lab to identify new genes specific to CSF-cNs using a FACS-based approach and to address their function using CRISPR/Cas9 technology. Eventually, her aim is to study the establishment of the CSF-cN apical extension to study its interaction with behavior and sensory processing in zebrafish. 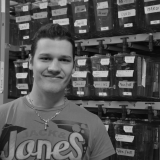 Alban graduated with a bachelor’s degree in biomedical research and is now studying for a Master in Biology, Health and Ecology at the Ecole Pratique des Hautes Etudes (EPHE). During his academic studies in Paris, he did a year-long internship at the Imagine Institute for Genetic Diseases where he helped the “Translational genetics” team identify genetic mutations responsible for rare diseases in young children. He then moved to the Brain & Spine Institute for another internship under Dr. Giovanni Stevanin’s supervision and in collaboration with Dr. Jamilé Hazan from the Institut de Biologie Paris-Seine (IBPS). There, his work consisted in the identification of genetic mutations causing hereditary spastic paraplegia and their functional validation in zebrafishes. He finally joined Wyart’s lab in October 2018 for his master’s degree, working on the role of the Reissner Fiber in posterior axis development in the zebrafish. BIOGRAPHY. Adna received her PhD in 2016 from King’s College London where she worked in Dr Matt Grubb’s lab at the Centre for Developmental Neurobiology. Her project lasted a bit over 3 years, time during which she focused her efforts on creating new tools to perform live imaging of axon initial segment plasticity both in vitro and in vivo. For the later part, she established the groundwork necessary for using zebrafish as a new animal model in the field of axon initial segment research. She is now moving on to look at premotor to motor neurons connectivity in the zebrafish spinal cord. PROJECTS. Adna's project is in collaboration with Prof Dave McLean from Northwestern University, Chicago and aims to decipher the connectivity between V2a interneurons and motor neurons using electrophysiology coupled with new technologies for 3D optogenetics by sculpting light in vivo. Her project is supported by the ERC starting grant and a Marie Curie Postdoc Fellowship. After entering med school in Lyon in 2015, Mathilde joined the Ecole de l’Inserm Liliane Bettencourt in 2017 to follow a double joint path, in order to achieve an early formation to research along her medical studies. 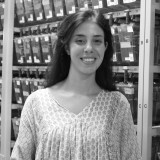 Her long-term interest on neural and muscular comprehension lead her to her first research internship in Lyon at Neuromyogene Institute on understanding the physiological and pathological regeneration of the muscle, and to her second internship in University of Ottawa, on the sensorimotor integration in the electric fish. Taking a gap year in her medical studies, she started a second year of master in Cellular and Integrated Neurosciences at Sorbonne University in September 2018. 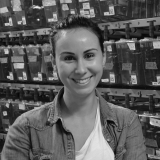 She joined Wyart’s team in October 2018 to work on circuits driving exploratory locomotion in Zebrafish. BIOGRAPHY. After a two-years technical degree obtained in 2014 in bio-analysis and controls, Hugo started the Magistère Européen de Génétique (Paris) and is doing his last year in this program. Through the Magistère, Hugo learnt different molecular methods, especially by doing two internships in Edinburgh and Chicago, in Dr. Goodrich and Pr. Holmgren teams, respectively. PROJECTS. A RNA-seq performed on cerebrospinal fluid-contacting neurons (CSF-cNs) highlighted different interesting genes expressed in these cells. Hugo will focus on 8 of these genes, encoding for proteins or peptides secreted in CNF-cNs, and will investigate their functional roles in zebrafish, in collaboration with Feng QUAN. BIOGRAPHY. Adeline received her PhD in Neuroscience in 2014 at Aix-Marseille University. During her PhD, she combined electrophysiological and labelling approach to characterize in mouse brainstem CSF-cNs: a new sensorial system through PKD2L1 channels. Then she improved her training by learning 2-photon calcium imaging at UTHSCSA, Texas where she studied the plasticity of presynaptic GABABreceptors induced by change in synaptic activity. PROJECTS. Adeline's project aims to record from CSF-cNs in vivo in zebrafish larvae where she will combine calcium imaging and electrophysiology in different genetic models. In addition, Adeline will investigate the physiological roles of CSF-cNs in mammals. Her project is supported by the ERC starting grant. Hugues is M.D. Ph.D., professor at the university Pierre and Marie Curie Paris-6 and head of the orthopedics department of the Pitié-Salpêtrière hospital. He did his initial studies in Marseille and was trained by Catonnet in Martinique at the beginning of his career. Hugues wants to understand how physiological parameters covary and how we could best treat patients after injury. He has a master mind project aiming to record from all physiological parameters soon after spinal cord injury. BIOGRAPHY. Andy received his PhD in Neurobiology and Behavior in 2013 from the University of Washington in Seattle, Washington under the mentorship of David Raible. There, he studied cell fate choice in neural crest cells and the role of the metalloproteinase inhibitor Reck in DRG development. PROJECTS. CSF-contacting neurons are a mysterious spinal cord neuron that appears to respond to several sensory modalities and rely that information to local motor circuitry. However, the full breadth of sensory information they can integrate is still not understood. In the Wyart lab, Andy assisted in studying the mechanoreceptive response of CSF-cNs and its role in patterning swimming behavior. He is continuing to identify novel genes associated with CSF-cN function using a limited CRISPR/Cas9 based screen informed by the CSF-cN transcriptome. BIOGRAPHY. Feng is an engineer who started a PhD in january 2017 in collaboration with the National Museum of Natural History with Prof. Hervé Tostivint. PROJECTS. 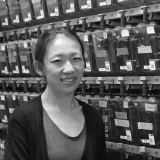 Feng investigates the functional roles of proteins and peptides secreted in cerebrospinal fluid-contaction neurons(CSF-cNs) in zebrafish and in mammals. BIOGRAPHY. 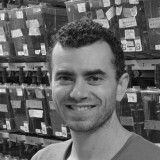 Julian started working in Philippe Ravassard's team in ICM after receiving his technician diploma in 2010. 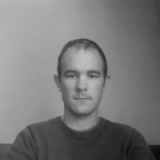 He specialized in cloning and molecular biology and joined the ICM vectorology platform in 2014. He developed ovo-transfert to clean all transgenic mice lines of the institute. 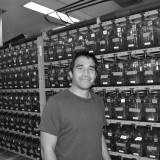 In 2015, he joined the Pasteur Institute in Jerome Gros's team in order to establish quails transgenics lines and promote the quail as a new experimental model. Early 2017, Julian joined C.Wyart's team in 2017 as an Engineer, in order to help the team achieve its goals with his precious experience in molecular biology, transgenesis and animal experimentation. PROJECTS. Julian is multi-tasking ! 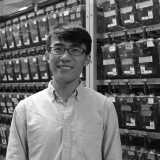 He develops tools using CRISPR/Cas9 technologies to generate new zebrafish gal4 transgenic lines via knock-in as well as to kill cells in vivo with a tight control of space and time. He performs as well fluorescence activated cell sorting combined with RNAseq on diverse sensory cells from zebrafish larva. Yezza has a diverse skillset: a BS obtained in Morocco, several degrees in management, various administrative experiences, and experinece in accounting and personnel management. Yezza has a remarkable versatility that allows her to work with different services, apply their procedures, and answer their requests. Yezza’s ultimate goals are— · Fluidity within the laboratory, with suppliers, guests, and scientists working together to make everyone’s life easier. This is facilitated by respecting deadlines, procedures, and creating a personalized human involvement dedicated to the members of the team. · To quickly achieve a state of maximum compliance with all ICM regulations. BIOGRAPHY. Ming Yue received a master from the Institute of Neuroscience (CAS) in Shanghai, China. He was enrolled in the ENP program in 2015 and joined the lab for a PhD in september 2016. Ming Yue learns calcium imaging and electrophysiology, and initiated a collaboration with the Hillman lab in Columbia University, NYC. PROJECTS. Ming Yue is interested in mapping connectivity of mechanosensory feedback between hindbraind and spinal cord. 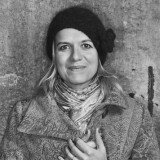 Claire Wyart did her undergrad studies in the Ecole Normale Supérieure Ulm between 1996 and 2000. She joined the biophysics lab of Didier Chatenay for her PhD between 2000 and 2003 in the Institute of Physics in the University of Strasbourg. During her PhD, Claire developed novel methods for controlling the architecture of neuronal networks in vitro and demonstrated mechanisms underlying the emergence of spontaneous activity. After one year of teaching in Tibetan schools, she joined UC Berkeley for her postdoctoral fellowship in the labs of Prof. Noam Sobel and Ehud Isacoff between 2005 and 2010. She developed optogenetic methods in vivo by taking advantage of the transparency of the zebrafish larva. In this small vertebrate model, Claire used optogenetics to study sensory-motor integration, analyzing the processing of visual, mechanosensory and chemosensory pathways modulating locomotion. Since 2011, Claire started her team in Brain and Spinal cord Institute (ICM) with the support of the ATIP / Avenir from Inserm and CNRS with the Fondation Bettencourt-Schuller, a chair of excellence from the Ecole des Neurosciences de Paris (ENP) and the emergence programme of the City of Paris. Subsequently, her team received support from the European Research Council (ERC) Starting Grant in 2012, the Human Frontier Science Program (HFSP) research grant in 2013, and a National Institute of Health (NIH) research grant from 2014. She became an EMBO-Young Investigator (EMBO-YIP) and received the New York Stem Cell Foundation (NYSCF) Robertson Innovation in Neuroscience award in 2016. She received the award from the Foundation for Scientific Education and Research (FSER) in 2017. PROJECTS. Claire is interested by deciphering thel neuronal circuits that integrate information from the brain, from the periphery and from internal cues in order to modulate locomotion and posture as a function of our inner physiological states. Her strategy is to take advantage of the transparency of zebrafish larva to develop methods for monitoring and manipulating neuronal activity during behavior. The lab now combines functional studies with molecular profiling to identify cell identity underlying functional diversity of neurons in sensory-motor integration. A major emphasis of the lab focuses on the investigation of GABAergic sensory neurons interfacing the cerebrospinal circuits with motor circuits in the vertebrate spinal cord. Another focus of the lab lies in understanding the functional connectivity between neurons across the hindbrain and spinal cord using functional population calcium imaging. The third interest of the lab lies in the role of mechanosensory feedback from the periphery in shaping the dynamics of active locomotion. Our main collaborators include Mario Chavez in ICM, Filippo Del Bene in Curie Institute, Herve Tostivint in the Museum National d’Histoire Naturelle (MNHN). BIOGRAPHY. Urs did his undergrad at the Univerity of Freiburg and joined the lab to do his PhD where he mainly worked on the mechanosensitivity and chemosensitivity of cerebrospinal fluid-contacting neurons. PROJECTS. After receiving his PhD he is currently a short term postdoc and working on whole brain imaging during behavior using two-photon microscopy and genetically encoded calcium indicators. BIOGRAPHY. Lydia received training in the Master of Genetics of University Paris Diderot. As a graduate student in the lab, Lydia received her PhD from the French National Museum of Natural History as a collaboration with Prof. Hervé Tostivint. During her PhD, she characterized the molecular and morphological heterogeneity of the cerebrospinal fluid-contacting neurons. PROJECTS. Lydia received training in the Master of Genetics of University Paris Diderot. As a graduate student in the lab, Lydia received her PhD from the French National Museum of Natural History as a collaboration with Prof. Hervé Tostivint. During her PhD, she characterized the molecular and morphological heterogeneity of the cerebrospinal fluid-contacting neurons. Fanny received her master degree in Developmental and Stem Cell Biology from the University of Heidelberg working in the lab of Prof. Joachim Wittbrodt and investigating the role of the immune system in the Medaka retina. Since September 2017 she is enrolled in the ENP program. She joined the Wyart lab in October 2017 for a lab rotation supporting the project of the CRISPR/Cas9 based screen to identify novel genes associated with CSF-cN function. BIOGRAPHY. Kevin received training in the Master of Genetics of University Paris Diderot. Kevin received his Ph.D. in Neuroscience in October 2016 from the University Pierre et Marie Curie in Paris. PROJECTS. 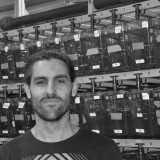 Kevin now investigates the connectivity of glutamatergic touch-receptor neurons in the spinal cord, the Rohon-Beard neurons, in order to probe their role during swimming.Kevin investigates how peripheral and internal sensory feedback pathways control locomotion. He first established the connectivity of a conserved class of intraspinal sensory neurons, termed Cerebrospinal fluid-contacting neurons (CSF-cNs) in zebrafish and investigated the function of these inhibitory sensory neurons during locomotion using a combination of electrophysiology, optogenetics, and calcium imaging techniques. 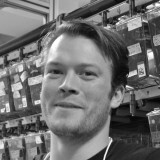 Jeff received a PhD in Neuroscience in 2012 from the Vollum Institute in Portland, Oregon where he focused on synaptic transmission at the neuromuscular junction. There he studied how spatial and temporal changes in calcium govern short term synaptic plasticity of neurotransmiiter release from motor neurons. Jeff investigates neural circuit architecture in the spinal cord. By combining classical electrophysiological techniques and new optical methods he studies neuronal connectivity between sensory neurons, interneurons and motor neurons. He is interested in understanding sensory-motor integration and how the underlying circuits in the spinal cord produce locomotor behavior. His work has been partially supported by a generous grant from the Wings For Life spinal cord research foundation. Steven received an MD/PhD from the Ecole Normale Supérieure (ENS Ulm) and University Paris Diderot (2003-2010) and his MSc in clinical neurosciences from the Institute of Neurology (Queen Square) at University College London (2007). Upon medical graduation, he specialized in neurosurgery at Paris University Hospitals (AP-HP, 2010-2017) and simultaneously completed his PhD in the Wyart Lab. His PhD project investigated sensorimotor integration in the moving spinal cord (Knafo et al. eLife 2017, Knafo et al. Bio-protocol 2017). Steven is currently assistant professor (CCU-AH) in the neurosurgery department at Bicêtre Hospital (Pr Parker) and Paris Sud University. Steven plans to pursue a career in academic neurosurgery, focusing on craniovertebral junction, spinal cord and spine disorders. After her bachelor’s degree in 2014, Fanny started a BTS in Biotechnology. 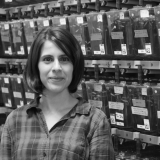 Fanny has extensive experience in laboratory research as a result of two internships at the INRA in Jouy en Josas. At the INRA she studied the impact of food content on the expression of gut genes and the impact of a lipid overexposure on the fetal and placental health during pregnancy. After that she continued with a « Licence professionnelle de génomique » with Pasteur Institute where her she studied Dengue resistance genes. She now begins her first job at the ICM in Claire Wyart's team. As a complementary education, Julie joined the master program AIV/AIRE in 2017 after receiving her engineer student from ESPCI Paris. 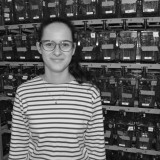 After two research internships at UCL (London) in Professor Wilson lab and Jean Perrin Laboratory (Jussieu, Paris) with Georges Debrégeas working on phototaxis behavior, she joined the Wyart lab in January 2018 for her second lab rotation. She is working on determining factors and circuits that drive exploratory locomotion with Feng, Hugo, Martin and Claire. 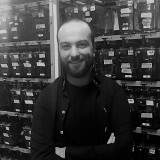 Olivier Mirat graduated from a computer science master program before joining the lab. He created the tracking software ZebraZoom1.0 and subsequent improvements. Now working as freelance, he often helps people in the lab. Zebrafish larvae swim as discrete bouts lasting for a couple of hundreds of milliseconds every few seconds. Their movements are very fast. Olivier generated a tracking software combined with a brain machine interface to implement automated categorization of every swim bout. His algorithms have changed the way we process and analyse locomotion in our lab. BIOGRAPHY. 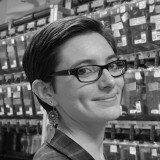 Kristen recieved her PhD in Biology in 2011 from Northeastern University (Boston, MA, USA) where she studied descending motor commands and sensorimotor behavior in the larval zebrafish. PROJECTS. Little is known of the interaction between locomotion-related neurons in the mid and hindbrain and their targets in the spinal cord. Therefore Kris chose to shift her postdoctoral research to include spinal circuits. Kristen uses in vivo 2-photon population imaging with genetically-encoded calcium indicators to explore the neural circuits involved in locomotor control. 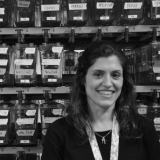 Her long-term goal is to investigate the role hindbrain-spinal interaction play in locomotor modulation as this remains a critical void in the understanding of how movement is controlled in vertebrates. 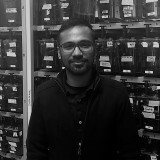 Shubham is second year Master’s student at Centre de Recherches Interdisciplinaires, Paris and doing his first rotation of second year at Claire’s lab and working with Andy and Olivier to explore physiological effects of the secretions of CSF-cNs using Optogenetics. He did a 4 year engineering bachelor program in National Institute of Technology, Warangal, India which mainly focuses on Downstream Processing and control Engineering for Pharma Industries. In the final year, he did an internship in Proteomics Center in Fuzhou, China under Dr. Liuyin Ma and then an Erasmus Mundus year exchange in Cardiff to study Biomedical Science where he learned Molecular techniques. He is very much interested in projects with a translational components. As a graduate student in the lab, Jenna received her PhD in September 2016 from the University Pierre et Marie Curie. She previously received a Bachelor's degree from MIT, where she studied working memory and in vivo optogenetics in rodent models with Ed Boyden. CSF-contacting neurons are the neuronal interface between the cerebrospinal fluid and the central nervous system and respond to changes in pH or mechanical deflections of the tail in zebrafish during active locomotion. During her PhD, she developed tools to manipulate populations of neurons while performing behavioral analysis and studied physiological activation of cerebrospinal fluid-contacting neurons. Jenna is currently working to understand the mechanisms by which cues in the cerebrospinal fluid activate CSF-cNs using genetic targeting, calcium imaging, analysis of fluid dynamics, and single cell electrophysiology. She will soon become a Grass fellow to pursue an intriguing project on sensory cells in the gut! 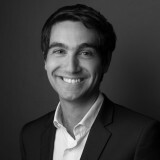 Olivier Thouvenin did his undergrad studies in the Ecole Normale Supérieure Lyon and in the University Paris Sud Orsay (Paris-XI) between 2010 and 2014. He received a PhD in optical imaging in 2017 from the Langevin Institute, ESPCI Paris, and the University Paris Diderot (Paris VII) during which he developed new optical imaging strategies for the label-free investigation of structural and functional parameters in cells and tissues. Olivier contributed to the development of dynamic full field optical coherence tomography (D-FF-OCT), which allows visualizing moving structures inside a tissue without any label. D-FF-OCT can visualize organelles and lipidic vesicles usually hidden within their surrounding tissue. Olivier implemented in particular the dynamic imaging of particles contained in the cerebrospinal fluid, allowing the capture of the CSF complex flow in intact wild type animals in vivo. 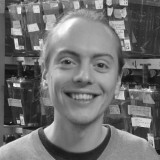 Olivier joined the lab in September 2017! He plans to investigate the CSF flow in a more quantitative manner and in 3D. His goal is to elucidate the parameters, heart and cilia beating, determining the complex dynamic of CSF flow in ventricles and central canal. Multiple evidence indicate that CSF physico-chemical properties modulate body axis formation and spine curvature. Yet the underlying mechanisms remain elusive. 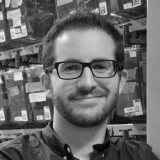 Olivier will implement novel imaging techniques in order to investigate how CSF-contacting neurons detect flow and release peptides in order to modulate organogenesis and general physiology. Olivier is also interested in building a model of CSF flow to understand how it can affect transport of signaling molecules influencing muscle contractions and biomechanics of the musculature and the spine. Sara did the bachelor degree in biology at the University of Pisa. Afterwords she moved to Trieste to do the International master degree in Neuroscience in collaboration with SISSA. 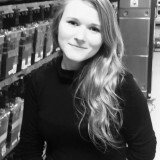 She joined the Wyart lab in March 2016 for the master internship one-year long. First she investigated the role of the cerebellum in the prey capture, then she analyzed the gene expression of different candidates in Cerebro Spinal Fluid-contacting Neurons (CSF-cNs) by perfoming the whole mount in situ hybridization at different developmental stages in zebrafish model. After the master graduation in March 2017 she kept on working in Wyart lab for a summer internship genotyping different mutants for peptides in zebrafish model injected with CRISPR-Cas9. Laura publishes her first PhD manuscript on morphogenesis and sensory function! ZENITH: HIRING grad students with a background in maths or physics, contact Claire! We are hiring a computer scientist to push our analysis of behaviour using deep networks! Hindbrain circuits underlying locomotion by Severi, Bohm & Wyart in Scientific Reports! New article from Sternberg et al., in Nature Communications: CSF flow & mechanotransduction ! New postdoc fellowships for Olivier, Martin and Yasmine: Congrats! Congrats to Adna Dumitrescu for her travel grant : good luck now for your experiments in Chicago! Congrats to Yasmine Cantaut-Belarif, PL Bardet for the Big Brain Theory grant from ICM !!! Congrats to Martin Carbo-Tano for the Prestige fellowship! July 2017: Laura Desban obtains a fourth PhD year from the FRM: congrats ! August 2017: New review is out on CSF-contacting neurons in Journal of Neurogenetics ! July 2017: Mechanosensory feedback enhances speed of locomotion via a novel circuit ! March 2017: Kristen moves to the Bormuth lab in UPMC! Lydia's article is accepted in Scientific Reports : Congratulations ! Jeff's article is accepted in Current Biology : Congrats ! Jenna & Kris's article is accepted in Current Biology: Congrats ! Oscar from the Emiliani lab publishes 3D holographic method for optogenetic applications : Congrats! Urs and Andy's article is accepted in Nature Communications: Congrats ! Kevin's article is accepted in Current Biology : Congrats ! Lydia's article is published in Frontiers in Neuroanatomy !